A prosthodontist is a dentist who is able to diagnose, treatment plan and carry out rehabilitation and maintenance of the oral function, comfort and health of patients with clinical issues associated with missing teeth or maxillofacial tissues using the latest materials available. We are privileged to have two, Dr Guv Bhirth who has a special interest in prosthodontics and Dr Shuva Saha who is a Specialist in Prosthodontics . 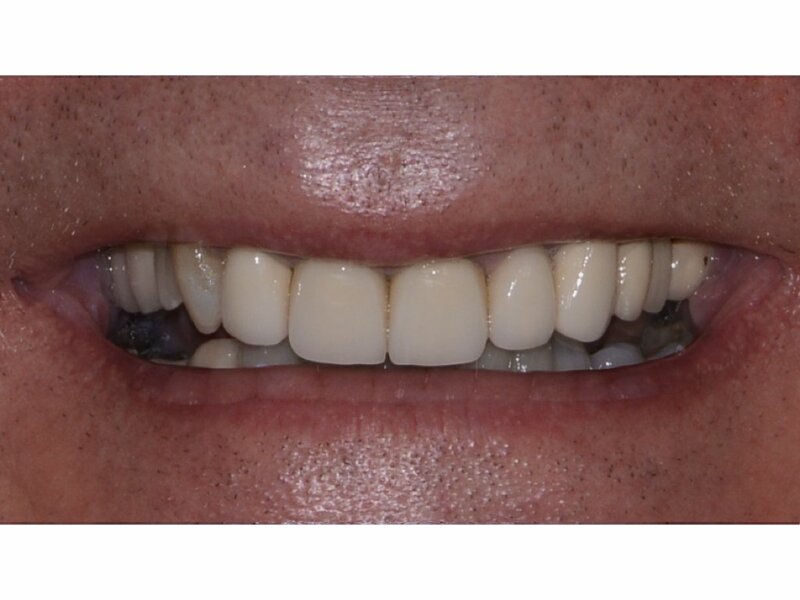 Both also treatment plan and restore all dental implants placed by Dr Ubhi /Dr James Dufty at the practice as well as carrying out a full range of fixed and removable prosthodontics. Tempromandibular joint disorders – TMJ and rehabilitation of occlusion all fall under their field of expertise. 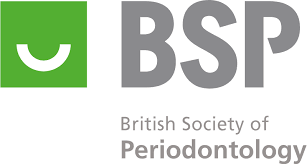 Below are some of the cases carried out at BPI Dental. Before – Failing crown and bridgework with carious margins. 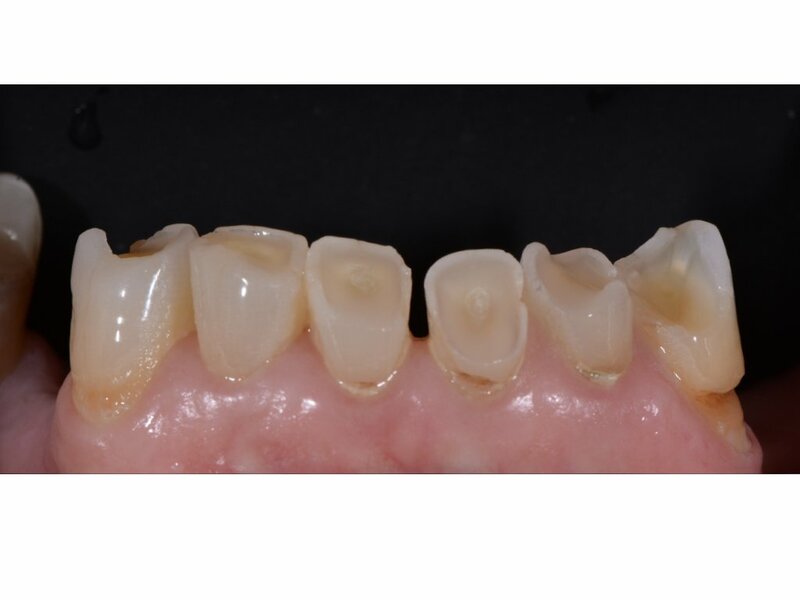 A diagnostic functional and aesthetic wax up was made, this was used to construct the provisional crown and bridgework. The steep incisal guidance was reduced to a shallower angle. The occlusion was assessed over a period of 3 months. During this time, the soft tissue was allowed to heal and settle, whilst developing the pontic site. 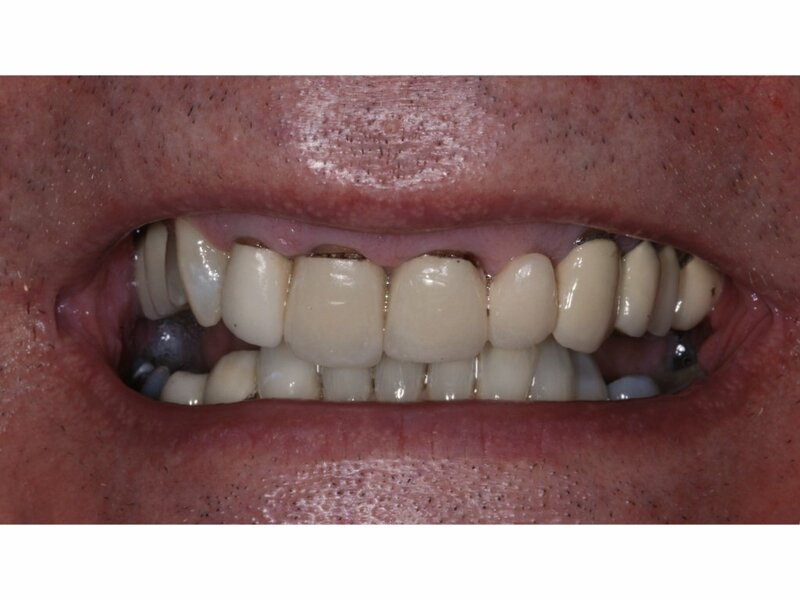 After – The occlusion scheme was replicated with a custom incisal table and new metal ceramic crown and bridgework made, improving soft tissue and aesthetics. 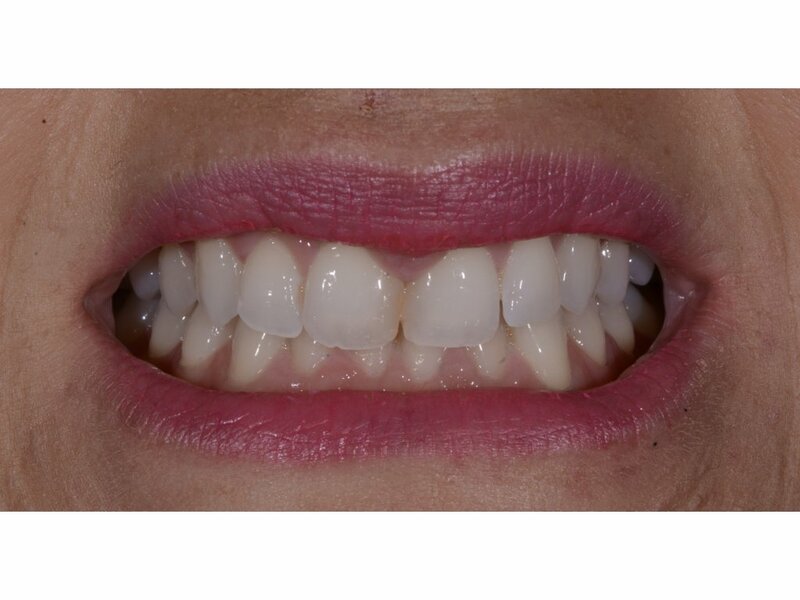 Before – The missing upper lateral and peg shaped upper left lateral gave rise to disharmony to her smile. The composite bonding was poorly integrated causing marginal staining. After – Surgical crown lengthening was carried out on the upper left lateral to create symmetry in the gingival heights of the laterals. 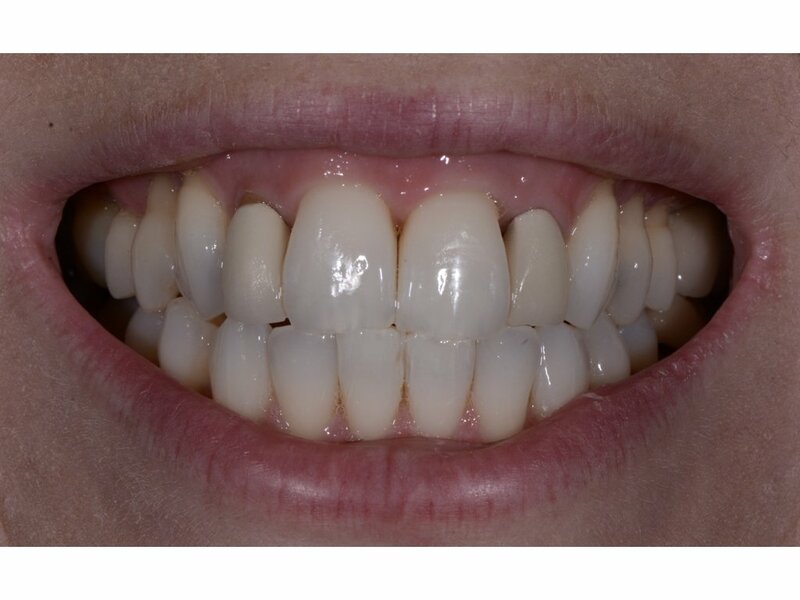 The patient went through a course of teeth whitening, this was finished with the replacement of the composite bonding masking the upper canine to create a more harmonious smile. Before – Gingival recession exposed the metal on the crowns. After – The crowns were removed and provisional crowns were fitted with knife-edge preparations to ensure minimal tooth structure reduction. 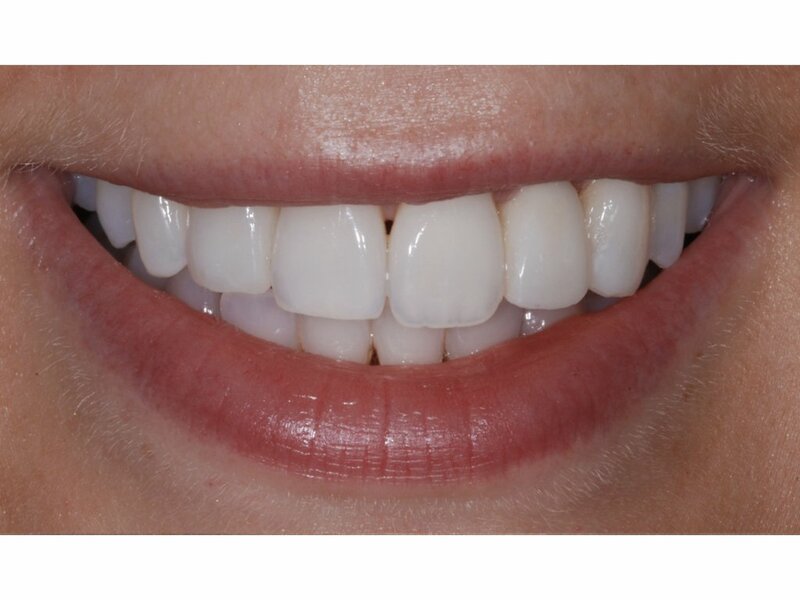 The soft tissue was allowed to settle and two layered zirconia crowns were fitted. The stable soft tissue masks the crown and tooth interface. 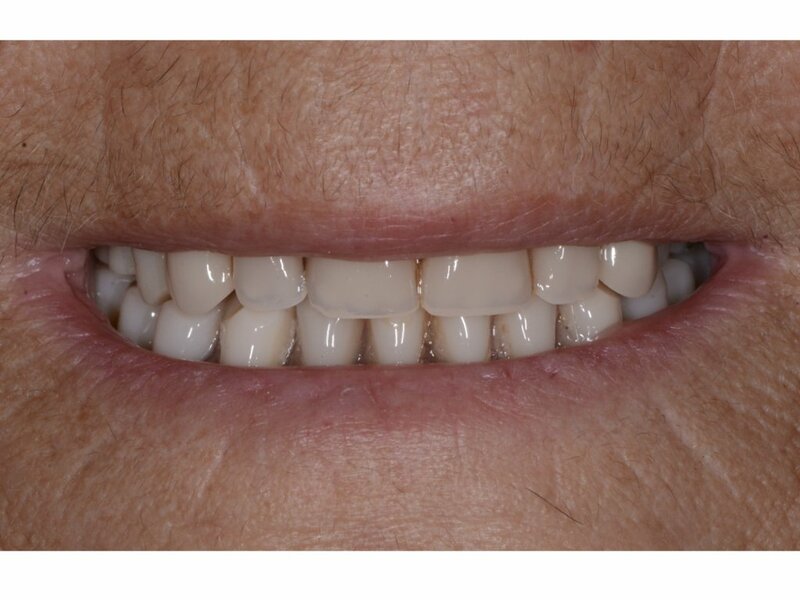 Before – The existing worn denture which was unstable, unretentive and underextended. 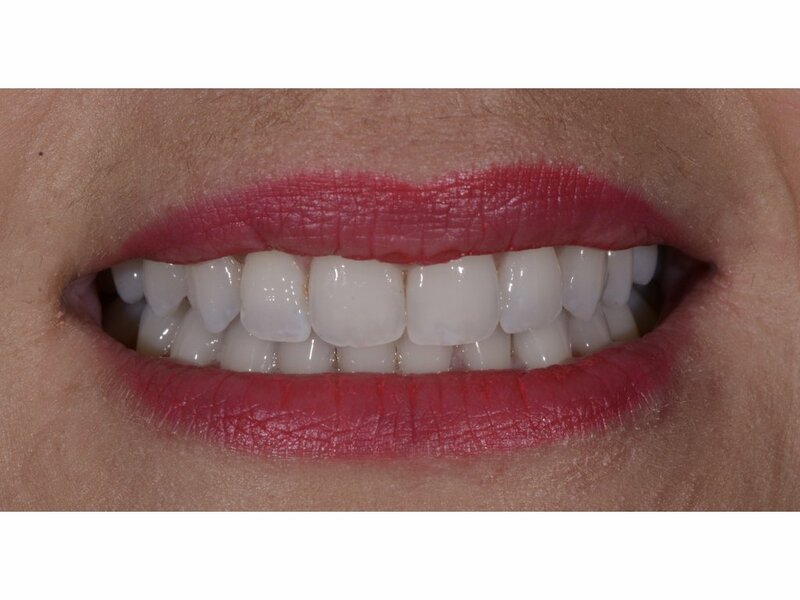 After – The denture was made following a set protocol and fitted on to two implant locators. 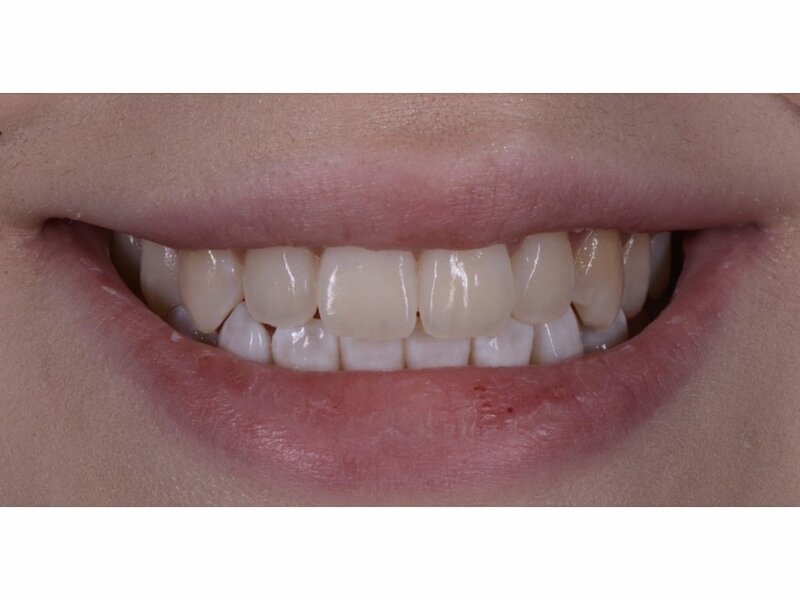 Before – The patient presented with extensive Tooth Surface Loss (TSL) on the lower anteriors. As a part of a wider restorative treatment plan, a diagnostic wax up was made. 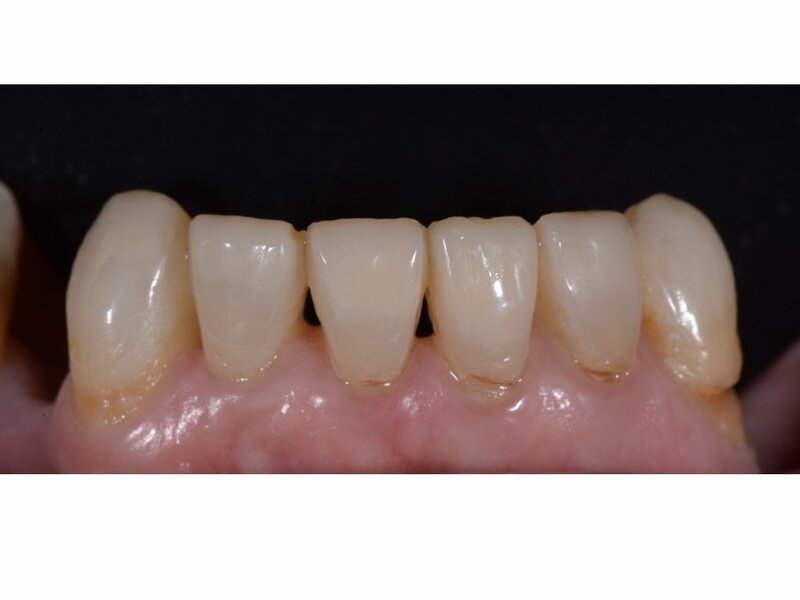 After – The diagnostic wax up was used to transfer the occlusal scheme with composite bonding. 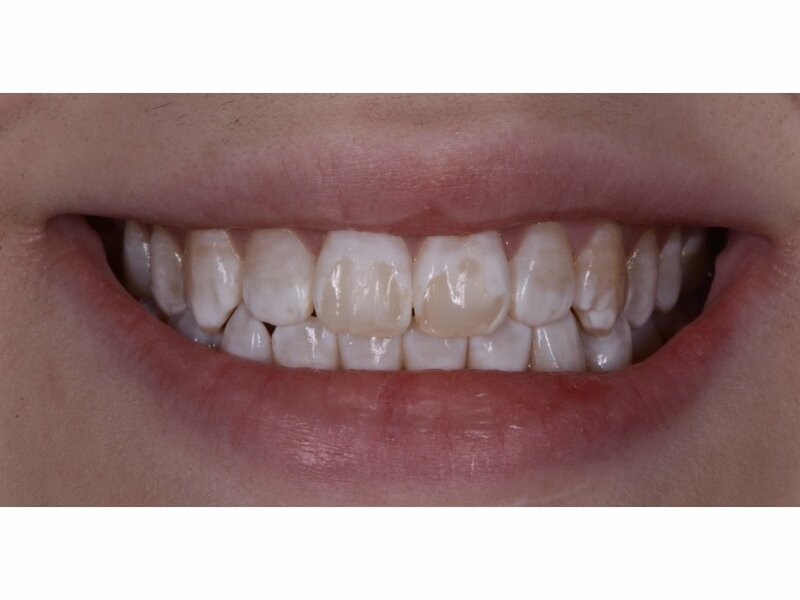 Before – The patient presented with hypoplastic lesions and poorly integrated composite restorations. 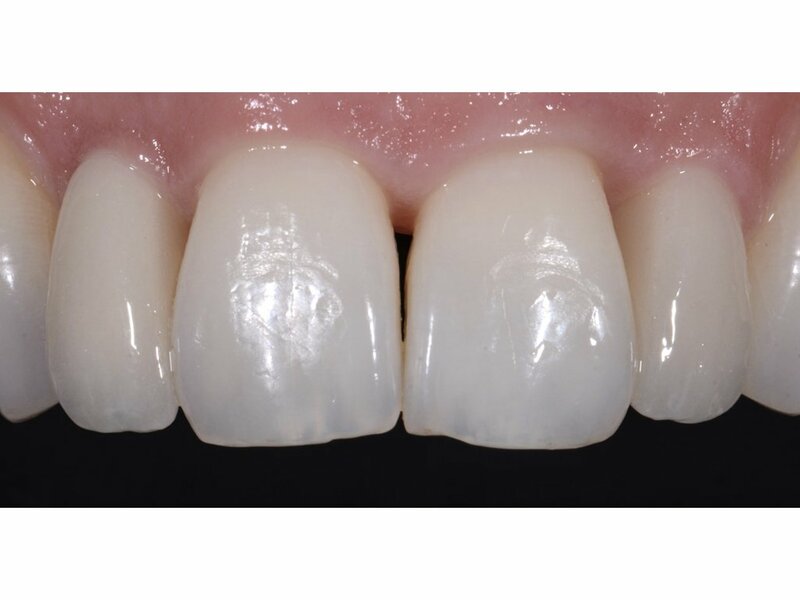 After – The previous composite restorations were carefully removed, and with a combination of resin infiltration (ICON) and composite bonding, the youthful appearance was restored. 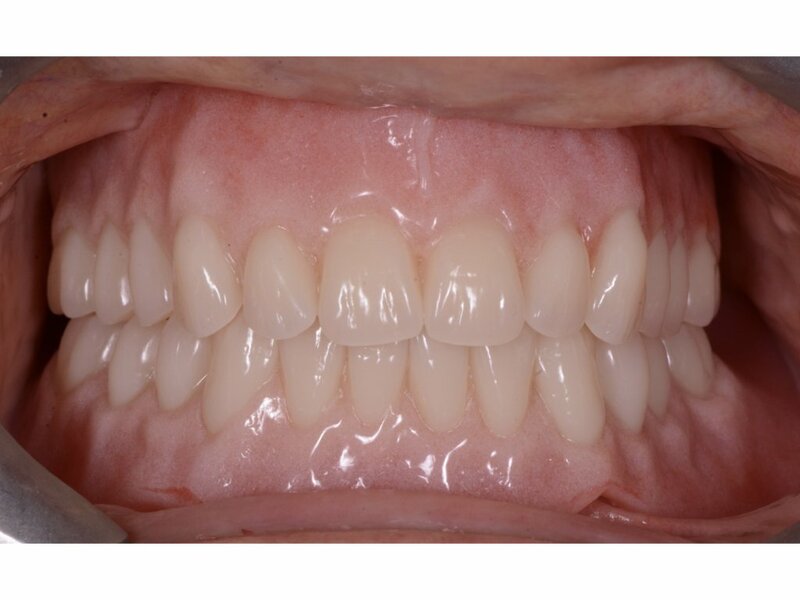 Before – The patient’s diastema had previously been restored with two composites which had overhangs, causing the gingival inflammation. After – The composites were removed progressively whilst a QST fixed brace was worn. 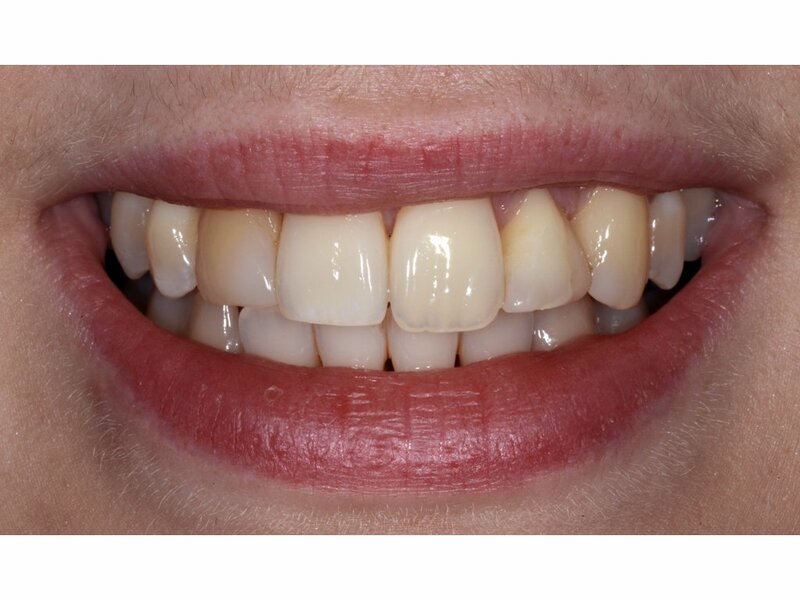 Complete closure of the diastema was possible and the case was finished with some teeth whitening.